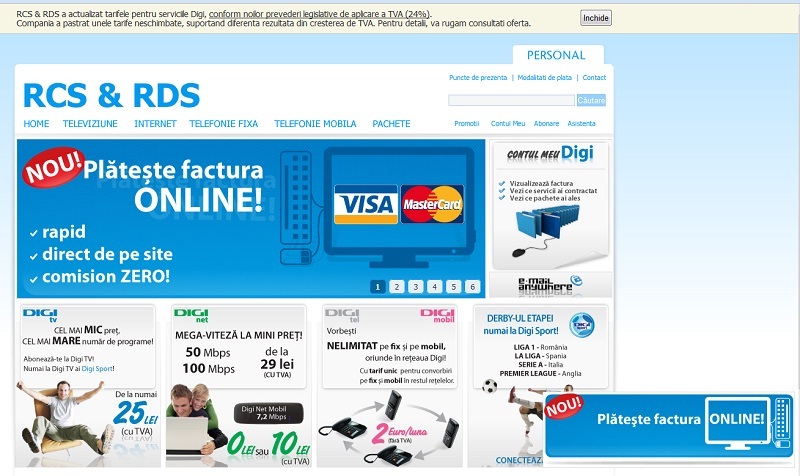 Telecom operator RCS&RDS has introduced a new online bill payment facility. The facility was built in partnership with lender BCR and EuroPayment Services. The online payment facility is accessible through the telecom's operator webpage, through a Digi account- which can be set up here. Visa and Mastercards payments are available, as well as the option to view the monthly bills and the detailed list of telephone calls. A similar service is offered by the company's competitor Romtelecom. UPC, the other company offering TV cable, internet and telephony services is yet to implement the online payment option.